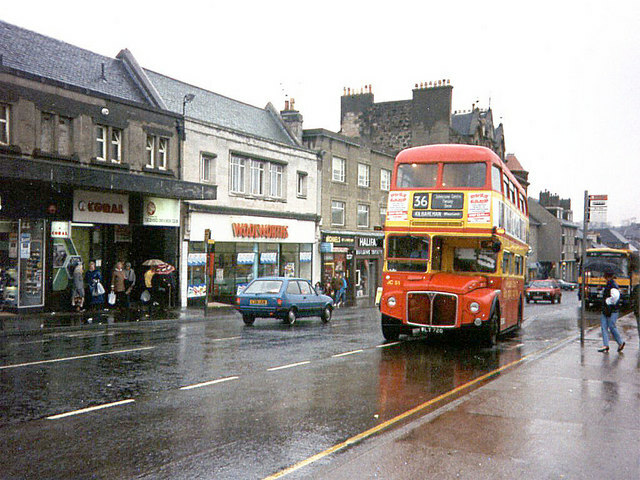 Johnstone High Street, the site of one of the now-closed branches of Woolworth's, on a rainy day in April 1989. A Routemaster bus has just arrived from Glasgow. © Copyright David Roberts and licensed for reuse under this Creative Commons Licence. This page has been viewed about 1261 times. The building is the former Johnstone Mills AKA Patons Mill. It is A listed and built of whitewashed rubble with slate roof. The old mill section dates back to 1782. Outline planning consent was given in 2004 for conversion to 72 flats and shops.